The Straz Center's Patel Conservatory will host two free open houses for all new and prospective parents and students. Spring classes begin the week of Jan. 12, 2015, with more than 100 classes for adults and children of all ages and skill levels, including new theater classes just added, and our popular Rock School program. New theater classes include Adult Improv, and youth Theater Arts classes offered during the day for homeschool students. 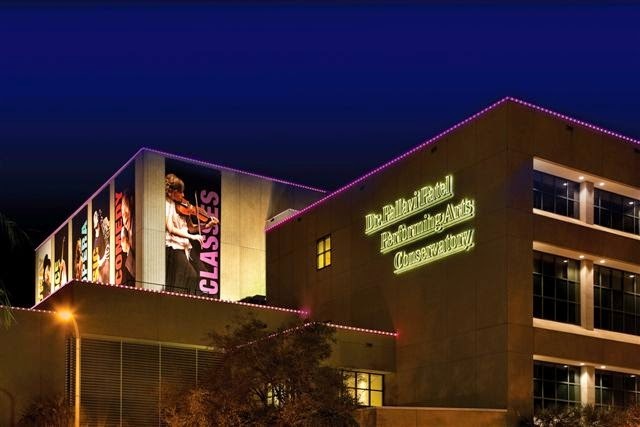 Come learn more about all of our performing arts programs in dance, theater and music and tour the Conservatory’s 45,000 square-foot facility, which includes dance studios, classrooms, private music lesson studios and the Conservatory’s TECO Theater. Brief orientation sessions will provide students and parents the opportunity to meet staff, ask questions and receive more information about our programs, policies and procedures. Tours are offered before and after each orientation session, and light refreshments will be served. Auditions for select music classes will also be held on Tues., Jan. 6. For more info, click here. To RSVP, call 813-222-1002 or email patelconservatory@strazcenter.org.